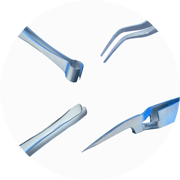 C-shape forming pliers, its special radius enables easy handling. Steel thickness 5mm, Length 150mm. 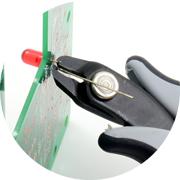 Cuts and presses the component wire against the PCB in one operation. Steel thickness 3mm. Tool length 138mm. 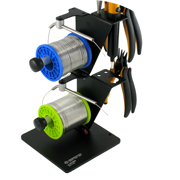 Cuts and bends the component wire against the PCB in one operation.ESD. Steel thickness 3mm, Length 138mm. 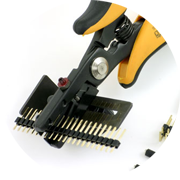 Cuts and bends the component wire in one operation, ideal in dense areas. Steel thickness 5 mm, Length 147mm. Forms the component wire in a U-shape. A=7.62mm. ESD. Tool length 150mm. Forms the component wire in a U-shape. A=10.16mm. ESD. 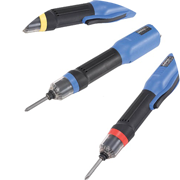 Tool length 150mm. Forms the component wire in a U-shape. A=12.70mm. ESD. Tool length 150mm. Forms the component wire in a U-shape. A=15.24mm. ESD. Tool length 150mm.